Equip only to a Spellcaster-Type monster. It gains 500 ATK. 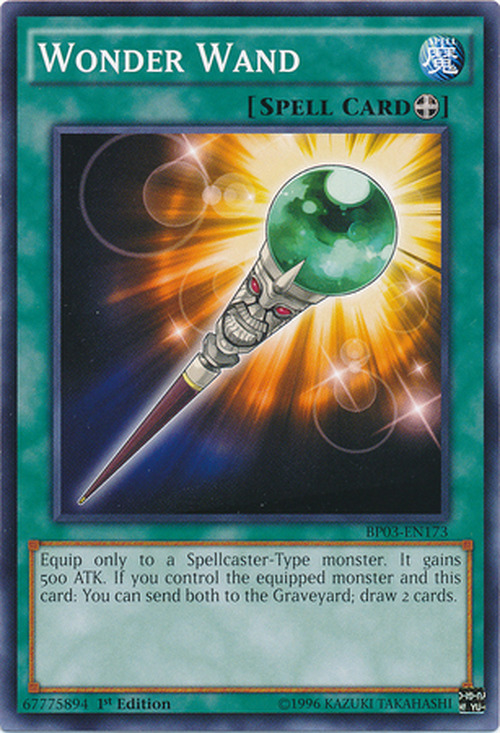 If you control the equipped monster and this card: You can send both to the Graveyard; draw 2 cards. 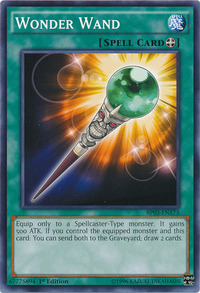 This card has two counterparts: One-Shot Wand and Bound Wand. Despite the many times this card was used during the Zexal anime, its second effect was never activated, even though it was shown to have that effect in the anime.